Are the world's two largest economies too irreconcilably apart in trade talks and other issues to strike a meaningful deal on anything other than in name only? More on this below. "It is in the US interest to continue to be able to effectively and credibly defend our allies and established partners such as Taiwan, in concert with their own efforts at self-defense." Taiwan Relations Act legislation pledges only "to provide Taiwan with arms of a defensive character." China's 2005 Anti-Secession Law justifies attacking the state for renouncing reunification with the mainland. Taiwan's government is hostile to the notion of one country with two systems, the formula Beijing used with Hong Kong. According to Politico, Trump "is expected to sign an executive order, banning Chinese telecom equipment from US wireless networks before a major industry conference at the end of February" - according to three unnamed sources, the timing days before the March 1 deadline for reaching agreement on bilateral trade. "That could further roil the Trump administration's already tense relationship with Beijing, especially if the US push erodes Chinese firms' significant European market share." At stake are trillions of dollars of economic value, why it's targeted by Washington - wanting US telecom firms advantaged over Chinese competition. According to National Security Council spokesman Garrett Marquis, the Trump regime is "working across government and with our allies and like-minded partners to mitigate risk in the deployment of 5G and other communications infrastructure." The "risk" is that US telecom firms will lose out to advanced Chinese technology. Ahead of the March 1 deadline on resolving unresolvable trade and related issues, Trump said it's "highly unlikely" that he and Chinese President Xi Jinping will meet ahead of that date - to formally sign a trade deal, the main reason for meeting. Key sticking points are structural issues and how an agreement if reached can be enforced. It's unclear if a deal in principle can be struck, whether talks will collapse, or if the deadline will be extended for continued negotiations. 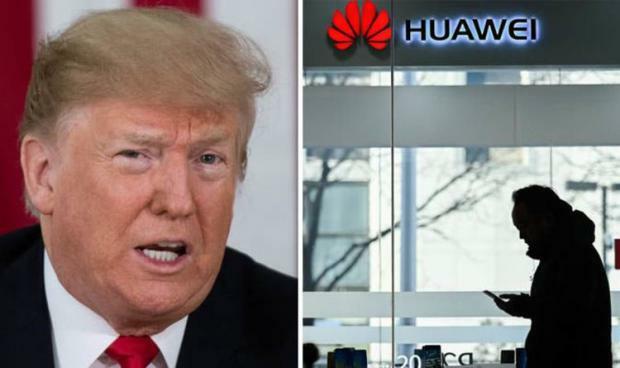 Trump regime toughness, including the unlawful arrest and detention of Huawei's CFO Sabrina Meng Wanzhou in Canada, along with a formal US request for her extradition to America, greatly complicates things. As of now, if agreement isn't reached by March 1, US tariffs on $200 billion worth of Chinese imports will increase from 10 - 25%.